Rock lined channels are constructed when the surface water is so great that erosion may occur. The sub grade is usually contoured similar to a swale. The channel is lined with a synthetic drainage fabric and backfilled with rock to slow the surface water. 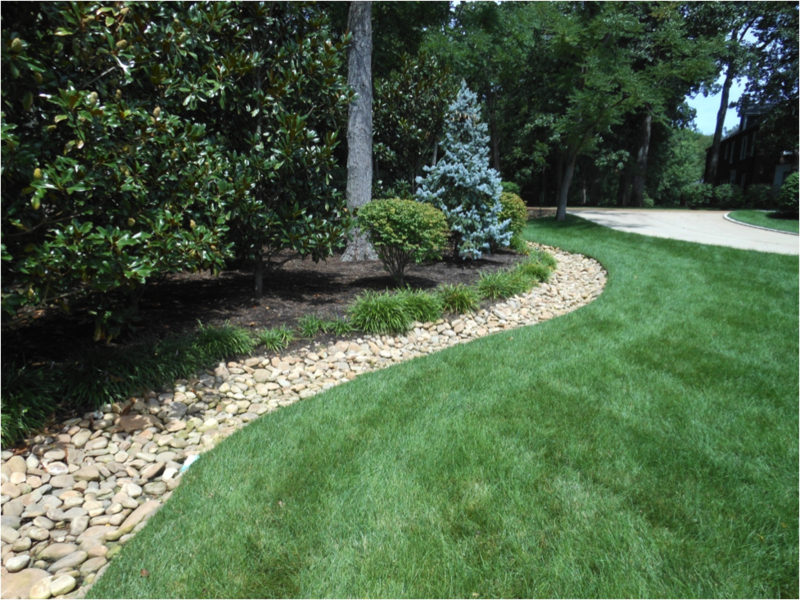 Rock lined channels can be constructed to channel surface water through or along the perimeter of lawn areas and planting beds as well as along sidewalks, patios, driveways even roadways. The rock, depending on the location and application, is available in a variety of sizes and colors.